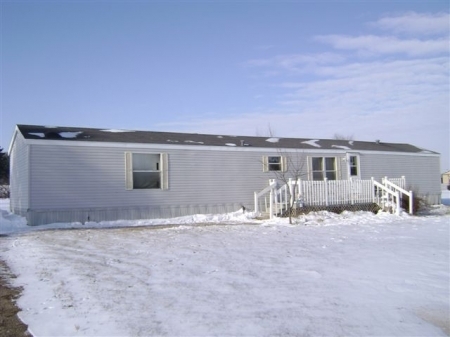 3 bedroom, 2 bath manufactured home for sale, is just minutes from Elk Mound on 1.56 acres. This home is ready to move into. Peaceful setting, excellent floor plan, central location...Eau Claire, Menomonie & Colfax. Large master suite and very spacious rooms. Bank Owned.